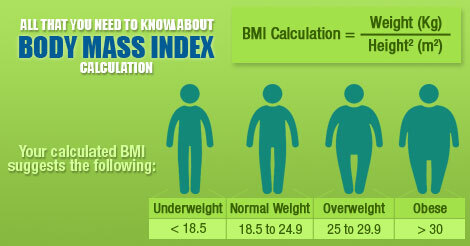 BMI (Body Mass Index) is a scale for calculating body fat content of a person depending on his/her weight and height. The scale has been used by various reputed organisations and physicians, from four decades now, to classify a person as obese or non-obese and to predict his/her health status. Obese persons, as per the calculations of BMI scale, are considered to have a high risk of developing hypertension, diabetes, heart conditions, stroke, and gynaecological ailments. There is no differentiation between male and female, although there is a drastic difference between their metabolism and fat distribution patterns. BMI scale does not consider the age factor. Ageing can affect muscle mass and water retention in the body which affects the body weight. Predicting fat levels using BMI can be misleading in the case of athletes. Athletes have higher muscle mass and thus can fall into the category of obese with BMI calculation. Subcutaneous fat (fat below the skin) is not that harmful as the visceral fat (fat around the organs). BMI scale does not provide any idea of visceral fat. A Sumo wrestler, who falls into the category of obese due to excess weight as per the BMI scale, can be healthier than a thin-framed person since a sumo has very less visceral fat. A thin or less height person can get mislead with low BMI score, but actually, can have a high risk of developing various ailments due to factors like heredity, exposure to causative agents, and irregular and undisciplined lifestyle. Curing diabetes with exercise and diet?